Photo: Courtesy of InStar Images. Menswear-inspired, pant suits for women, are not only trending, but with so many feminine details, are totally ladylike. 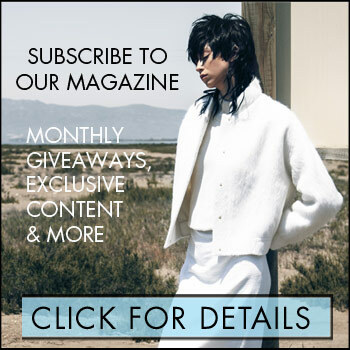 Case in point: look to actress Shay Mitchell (pictured above), who paired Kheir Sannai’s Alina trousers and Eunice double-breasted blazer (these pieces are currently being restocked, according to the label) for a recent BUXOM Cosmetics party in Los Angeles. The shiny silver fabric of Mitchell’s suit (which also has subtle pin-stripping), and bralette top, are sweet and sassy, but also mean business. ASOS DESIGN linen suit in pink, $130.45: This sugary, pink suit is pastel perfection, and has us dreaming of spring. If matchy-matchy is not your style, the cigarette trouser and blazer (which has a rouched sleeve) are still adorable worn as separates. Topshop Boucle Check Suit, $183: Choose comfort in this single button suit jacket and matching joggers (yes, we said joggers!). The cropped joggers have an elastic waistband and drawstring, for a chill, yet put-together vibe. 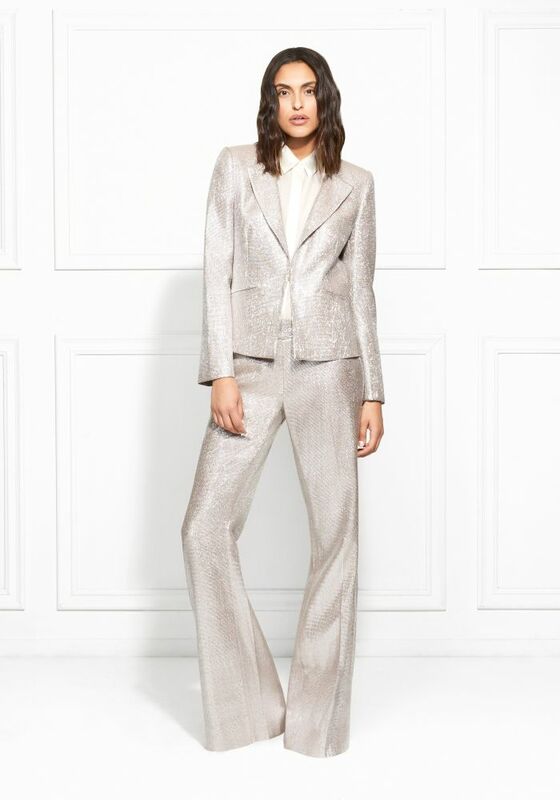 Rachel Zoe Daisy Metallic Suiting Blazer, $656 & Eden Metallic Suiting Wide-Leg Pants, $525: Go all-or-nothing in the glam department with this metallic set. Talk about well-suited for the night shift! 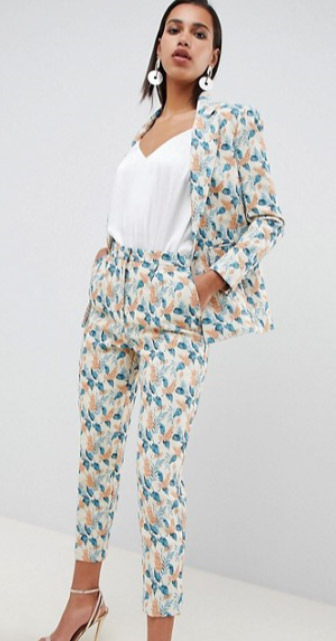 ASOS DESIGN tailored jacquard Wisteria Suit, $210.40: Floral designs will be in bloom for spring, so start loading the closet now. Love the combo of pastel blues and peachy-pink in this print, and the high-rise waist of the pant that’s perfect for tucking your top into. 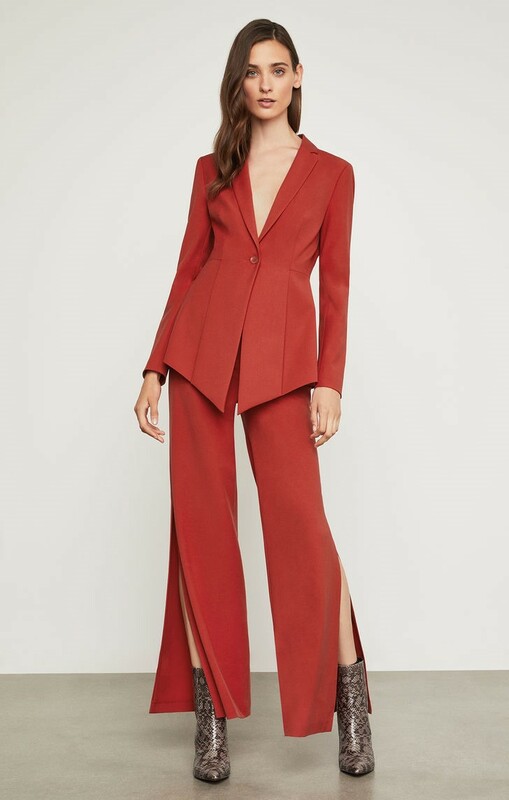 BCBGMAXAZRIA Sami Peplum Blazer $387 & Cooper Wide Leg Trouser $257: The peplum hemline of the blazer paired with the slits that run up the sides of the trouser, delivers dramatic flare. One thing’s for sure: your shoes are on display with this look, so you better put your best foot forward!